Kteer Kbeer is the newest Lebanese movie for the writer-director Mir Jean Bou Chaaya and we have to say that it is a piece of art. The movie premiered at Toronto International Film Festival and was able to get the attention of the film critics who gave it an outstanding reception. 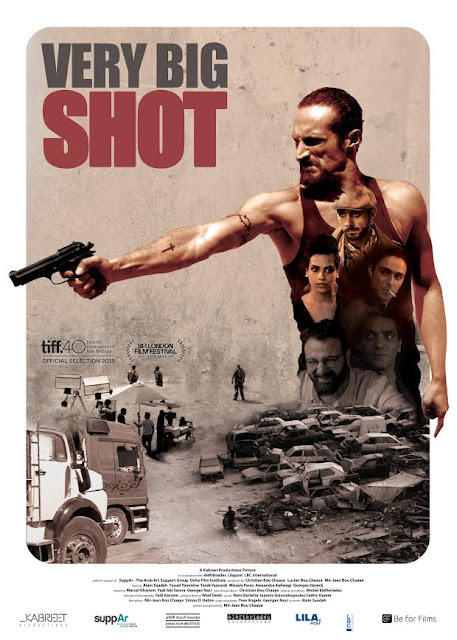 The plot is about Ziad (Alain Saadeh) who works for a drug dealer but decides to leave the monkey business and start a fresh start after his brother Jad (Wissam Fares) was released out of prision. Ziad goes on his last mission before going clean to sneak drugs to Syria but the unexpected happens and plans are forced to change. We got the chance to discover new talents that definitely deserve an applause due to their great acting skills and Alain Saadeh deserve a prize for his great role. We enjoyed Kteer Kbeer as it was light, funny, real, portraying the hard times that the youth can cross and with many twists and hidden stitches.